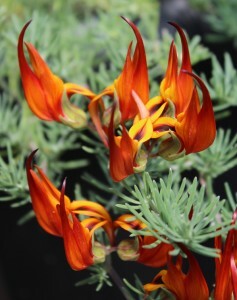 Lotus vine’s exotic looking flower is spectacular, resembling a parrot’s beak. Flame colour flowers in shades of red and golden yellow are perfectly suited to planter boxes, hanging baskets, window boxes, and decorative containers. 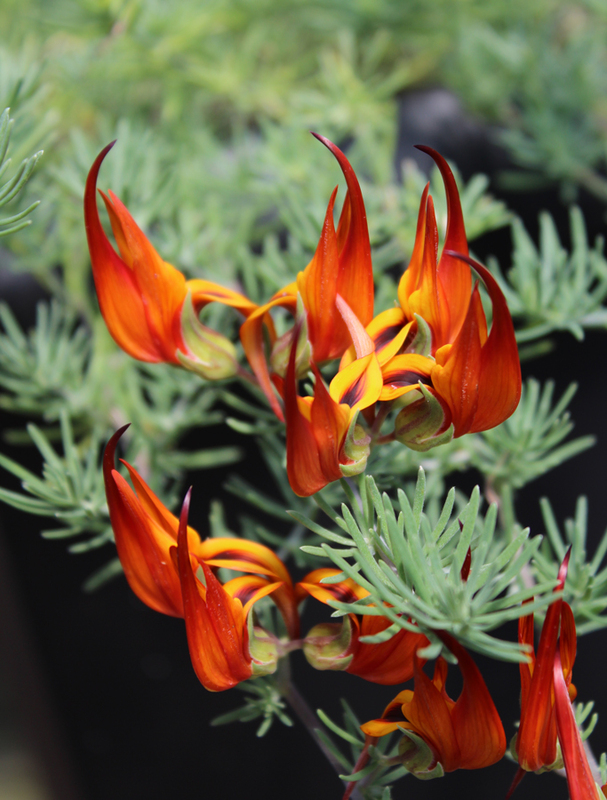 Don’t plant lotus vine solely for the flowers, as this plant is highly sought after for its unusual, needle-like foliage and bushy but trailing growth habit. 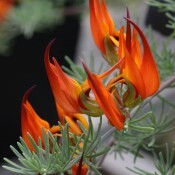 Lotus vine pairs well with purple and yellow flowering plants, and chartreuse or bronze-leaved foliage plants. Prefers a sunny location. 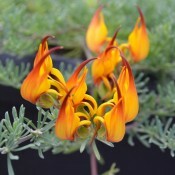 The golden yellow flowers tinged with orange look like small flames or parrots beak. It shows early and thrives in sunny locations. A must have in baskets and planters.